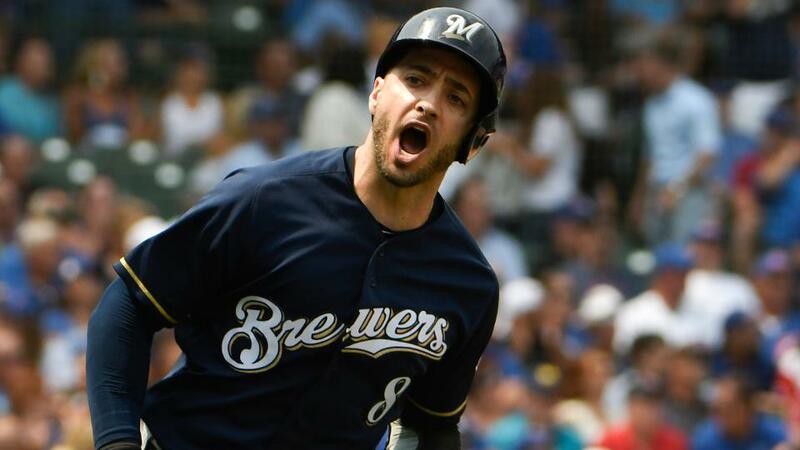 CHICAGO — It didn’t take long for Ryan Braun and the Brewers to get to the Cubs’ Jose Quintana in Tuesday afternoon’s 7-0 win at Wrigley Field, flipping the script on a pitcher who has dominated them throughout his career. Lorenzo Cain got a 1-0 fastball right down the middle and clobbered it 422 feet, according to Statcast™, for his third career leadoff homer, and second this season. Three batters later, Braun smacked a two-run blast on a hanging curveball to give the Brewers a 3-0 lead before the Cubs had batted. Braun added another two-run shot in his next at-bat in the third, increasing Milwaukee’s lead to 5-0. Both of his homers came against Quintana curveballs over the lower half of the strike zone. The Brewers had scored just twice off Quintana — on two home runs — in their first three games against him this season. Heading into Tuesday’s contest, the left-hander was 3-1 with a 1.06 ERA in five starts against the Crew since he joined the Cubs midway through the 2017 season.